The "Report To Moderator" tool can be found in the lower-right corner of each post on this forum. It is meant to be used in reporting posts that contain inappropriate content. When you click on that tool it will bring you to another screen and ask you to put in a comment. That comment will be sent in the report along with your email and username. This tool is for the sole purpose ONLY of reporting inappropriate posts. This tool is to help the Bully-Board Community report any issues to the staff, spam being an example. MISUSE OF THIS TOOL WILL LEAD TO A BAN. I made the above post back in 2013, so some people may have forgotten it or might not have seen it. I'm going to remind everyone the purpose of the "Report to Moderator" tool. This tool is located in the bottom-right corner of each post. It has the sole purpose of reporting inappropriate content and other serious issues on this forum. Every report you send goes out to moderators and admins. As of late, we've been finding reports based around personal vendettas, insults towards others, and other petty reasons. This behavior will NOT be tolerated. This is an important tool to report important issues to the staff. It's defeating the whole purpose when it gets cluttered with pointless reports. Please think about what you're sending out. As I've said in the past, misuse of this tool will lead to bans. Bully 2 Discussion / Bully 2 With MP? As we all know, most developers today are implementing online multiplayer features into their games, including R*. Some find this feature to be a selling point for games, and some find that it deteriorates the quality of games. I think it would be interesting to have such a feature in Bully 2 if done right. To have some form of co-op would be nice. What do you folks think it would be like if R* was to add MP to the next Bully title? The Downloads section has received a slight change. From here on out, you will need to log in as a registered member in order to see and use the downloads. Guests won't have access to that section. 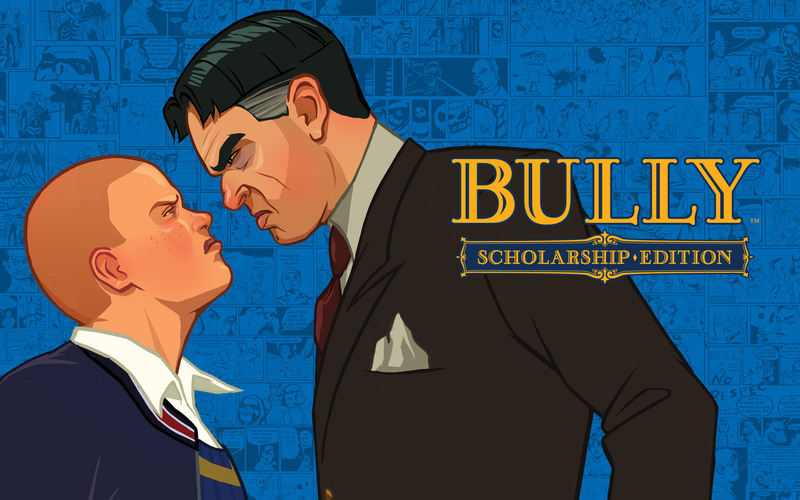 Bully is finally on the Playstation Store. I'll be getting that. I havn't had Bully for years now. I'm also going to see about getting a PS2/PS1 memory card adaptor for the PS3. I know Sony made one. I'll check out GameStop. Anyone get one? MadmaN and Steman's Corner / Happy B-Day Mad! The same rules as "Mod Releases" apply here. This section is for the release of mods which are not yet complete. If your mod is complete us the "Mod Releases" section. NO requests here. They will be deleted without notice. If you notice that you posted in the wrong board, notify a staff member. Your topic will be moved for you. If you DON'T notify the staff, your topic can be deleted without notice. NO arguments or bashing other members over mods. NO demands from anyone for anything. NO requests. They will be deleted without notice. Requests are to be made in the "Requests" board. If you notice that you posted in the wrong board, notify a staff member. Your topic will be moved. If you DON'T notify the staff then your topic can be deleted without notice. I found this GTA mod vid while I was digging up some stuff about another game. Someone made the car from the Back To The Future films and put it in GTA IV. What kind of new features would you fellas be looking for in Bully 2? I'm talking about weapons, vehicles, pranks, etc. For weapons, I was thinking they need to kick them up a notch. Maybe have a few more things made off the chem set. Vehicles could be added too. Something for the water especially. A jet ski maybe. There was nothing for the water. For pranks....this game was based around pranks! They just need some creativity. 1. NO MOD REQUESTS. I'm not offering any help on mod support now. I've got projects to focus on and I do not want to waste my time typing up some modding tutorial for someone who has not even bothered to help themselves. Failure to follow this rule will result in the deletion of your post. 2. NO INSULTING. If you post messages here out of spite or jealously then I'll see to it that you're dealt with accordingly. 3. MY WORK ONLY. This section is for my work and my work only. This section (GovernmentMan123's Corner) was made for G-Man's material and nothing more. Any topics found here that aren't associated with his work will be removed for organization purposes. Posting and comments are an exception. Thanks for your cooperation. Anti-Bully / Duke Nukem Banned From Walmart?